As dancers and fans we often just see the fun side of the thousands of Cajun/Zydeco events around the world and don't realize all the time, effort and energy it takes to make these events happen. The vast majority of events of course are pulled off like clockwork but this is not always the case as recently reported where Zydeco artist Keith Frank recently sued a parish for an alleged breach of contract over the use of their venue. This interview was interesting in many ways as the ambiance appears to be right after a gig as you see their instruments behind in the background. Also instead of having seasoned interviewers you have a kid just asking some typical but good questions of Buckwheat and he shared some great insight after having been on this planet for a while and having experienced a few things! I am always amazed at how it's not the technical ability of perfection of this dance that's fun to watch, its the attitude or style of other dancers that really bring their great energy to the experience. 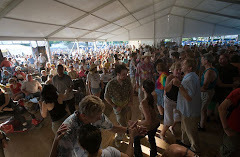 These clips below also help to show why Zydeco is perhaps the best dance in the world of all the social dances out there... it's simplicity and yet ability to allow everyone's personality to shine in the joy of the music.. The example below is more of a Zydeco-swing style where 1/3rd of his steps are swing, 6 count based and others are 8 count based but that gives it a style all it's own not to mention the attitude that is very cool.. I was recently looking into a new documentary that was in the works for a squeal to the original Zydeco - Nite 'n' Day video put out in the early 90's. The funding was going through Kickstarter so in the hunt for the status I found many Cajun/Zydeco related projects that were interesting to check out... and possibly support!! 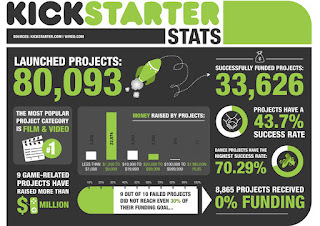 Kickstarter is a website that people use to source funding for projects. In theory if you have a great idea and just need funding, sites like Kickstarter or Indiegogo could be your solution to make the project happen! If your up for supporting a project in a small or larger way there are benifits to check out on kickstarter or Indiegogo's web site.. 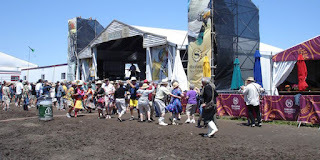 If you have not yet been to Lafayette one of the most recommended first experiences is Festivals Acadiens in Lafayette. While the festival in itself is an amazing experience of music, culture, ambiance, people etc.. it's what else you can take in during those few days that also supports the Music Magic Around Lafayette. Thanks to John who does a fine job videoing and sharing some of this magic he shot and put together one video clip showing the wide variety of other music dance related events that went on the same weekend of Festival Acadiens. I was recently searching for some Zydeco artist details and came across this great Zydeco web site called Zydeco Crossroads. It has some great articles and interviews from the wide rage of Zydeco reaches. Click on the image below or this link to check out the site and don't forget the link to the Archives which covers a lot of great content from previous months. A big thank you to Philly's Allons Dancer, Rounder Records and The Pew Center for Arts & Heritage for the work to support this site!! The Whiskey River Jitterbug Dance! Louisiana is a place like no other and along with their wonderful music are the dances that are done to this music. 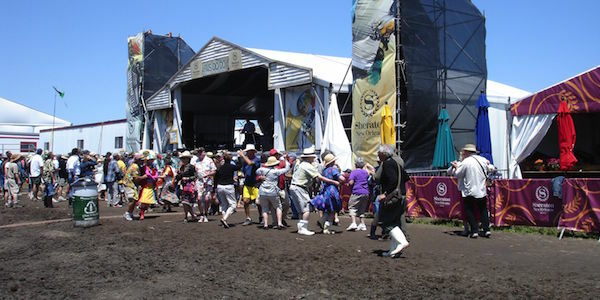 While Zydeco is the dance most often done there is a growing number of people dancing the "Whiskey River Jitterbug". This dance is known best for being seen at a famous bar called "Whiskey River" outside of Lafayette and at various other Cajun music related events around the area. The great part about this dance is it incorporates 6 count swing dance patterns which have been popular for many many years. Check out the dance clips below to get a flavor of the dance and in addition some educational clips and video info as well to check out if wanted. 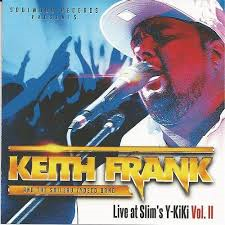 Keith Frank put out a recent CD called Live At Slim's Y-KiKi, Vol2 CD and it's Great!! Whoever wrote this great blurb below for Floyd's Music web site did such a great job I will post it with a link to Floyd's Record Shop where you got to get this music! "Keith Frank often asks his live audiences, "Do you wanna go back?" The question teases his crowd, hungry for another nugget in his endless string of greatest hits. But the question is also a statement of fact, a sly flex of muscle by a rare artist strengthened by family musical history that dates back to the 1800s. Frank has eared the title of Zydeco Boss with unending crowd pleasers, like "Get on Boy," "The Hamilton Club," "Casanova" and "Haterz." 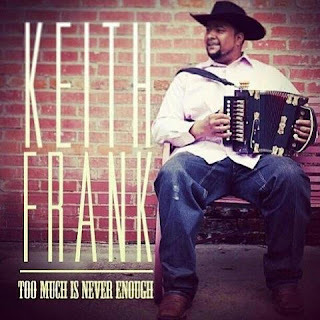 Frank's accordion-flavored version of "Moving on Up," the theme of the classic TV sitcom, "The Jeffersons," gave many in Generation X their first taste of zydeco. "Oh Mom" evokes memories of Louise Frank, Keith's mother, who dies in 2013 in a traffic accident. Louise sat by the bandstand from the band's beginning, signed off on every song heard on this CD, including the sizzling swing-out, "Teddy Bear." Her spirit was felt in this live recording as the Zydeco Boss goes back yet keeps pushing zydeco forward. ~excerpt from Herman Fuselier. *NOTE: "Teddy Bear" is the only studio recording on this live album. Released in July 2014, 16 tracks." 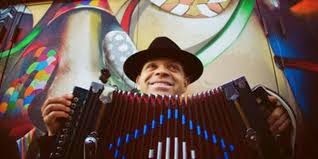 In the past being a Zydeco artist has been a very inclusive club only ventured by those who have the persistence to figure out how to play the music, or happen to live in Louisiana or Texas and have access to the incredibly talented artists. There are a bunch of Cajun/Zydeco festivals on the west coast and one of the biggest coming up is Gator By The Bay in San Diego. This Cajun/Zydeco band line up was recently announced and it will be humming!! Brian Jack & the Zydeco Gamblers - Houston based Zydeco All Star is Back!!!! The Pine Leaf Boys - Amazing Cajun talent and it's been a while since we have had these guys on the west coast! Beausoleil with Michael Douset - Grammy winning artist straight from the heart of Cajun Country. Book your hotel rooms, flights now to save a few bucks!!! I knew Lafayette Louisiana was a special place when you combine the warm hospitality, music, dancing and other factors but I didn't know it was rated the happiest place to live in the US along with several other cities in Louisiana's Cajun/Zydeco country. The Wall Street Journal's MarketWatch published a report with Lafayette, Baton Rouge, Shreveport, Houma and other towns being at the top of the list.